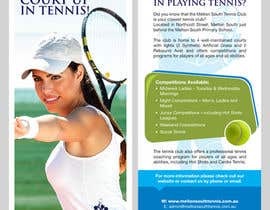 Our client is looking for a modern, attractive DL double sided flyer to use in promotions. We have supplied a DL Vertical Template so that measurements from printers are met, see in attachments. The DL Flyer should be eye catching and include photos. I have attached some inspiration of current marketing tools currently in use from our Member Association. Text and Logo provided: see attached. hello, thanks for rating. anything you need sir ? Please Check & Rate #17 & #18. I submitted within an hour. hi sir, please check #8, let me know any changes.! Thanks! PSD (Photoshop) works for you?